Any time you post Five Star, I am on board! Love this mix. 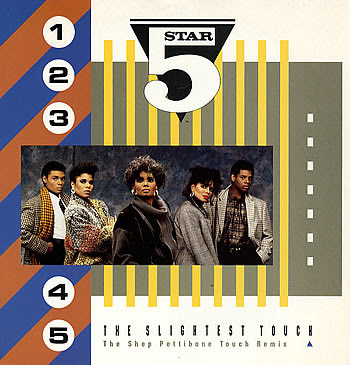 I don't think "Slightest Touch" was released as a single here in the US. LOVED Silk and Steel, but Luxury of Life will always be my favorite. Sadly, the highest they ever got on the US pop chart was #41 with "Can't Wait Another Minute," although they got into the R&B top 10 three times. Have you ever heard the Shine album? I was surprised that it never saw a release outside of the US, but there are some really great songs on there. "The Love You Bring to Me" and "The Start of Forever" are my favorites, along with the title track. Thanks v much for the comment John, I am going to post a few more posts on Five Star, I have most of the songs on vinyl single and the first albums as well, I haven't got the Shine album so I will check that out too.